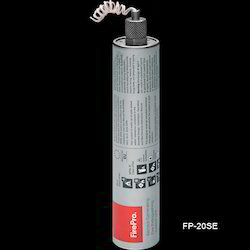 Manufacturer of a wide range of products which include self-activating fire suppression system tube, large units fire extinguishing system, medium units fire extinguishing system, large units aerosol fire extinguishing system, fp-80 s small units fire extinguishing system and manual units fire extinguishing system. 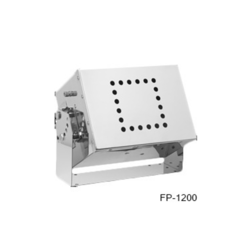 The BlazeCut “T” Series system is a simple and cost effective fire protection of small enclosures. The system consists of a heat sensitive tube made of a special type of plastic which is enclosed by stainless steel fittings on each end. 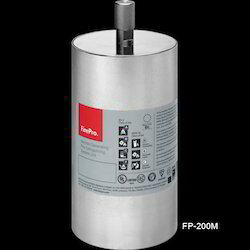 The tube includes both storage and detection functions which means that the extinguishing agent is stored directly in the tube and no additional storage device like a supression gas cylinder is required. 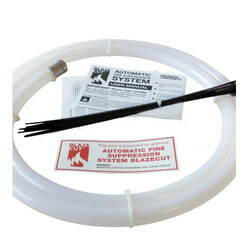 The BlazeCut system uses HFC-227ea or HFC-236fa, which is an extremely effective, clean and people-safe extinguishing product. The BlazeCut system operates automatically without requiring any power supply by simply detecting the higher temperatures caused by fire. When the temperature in the protected enclosure rises to a critical threshold, the detection tube melts at the point where the affecting temperature is the highest. This melting of the tube then creates a hole which releases the entire extinguishing agent stored in the tube onto the source of the fire. 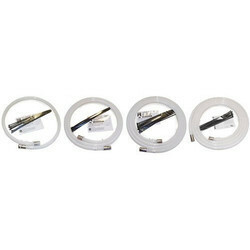 The BlazeCut “T” Series systems are supplied in various lengths of the tube and volumes of agent. The standard volume of agent ranges from 0,25 kg to 1,0 kg, which is sufficient to protect. enclosures with volume between 0,25 m3 and 1,00 m3 respectively. 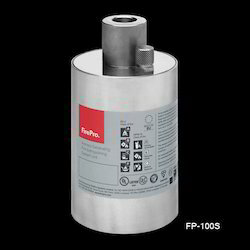 We are one of the trustworthy and renowned organizations, involved in offering a wide gamut of Medium Units Fire Extinguishing System to our clients. 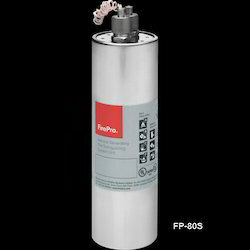 We are identified as one of the leading names in the market engaged in providing a wide range of Large Units Fire Extinguishing System to our valued clients. 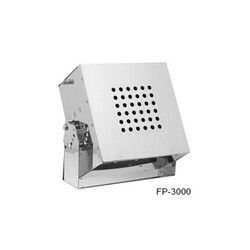 Due to our talented and experienced team members, we are engaged in offering a wide array of FP-80 S Small Units Fire Extinguishing System to our respected customers. 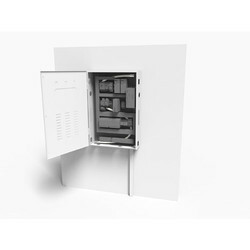 Electrical EnclosureSmall electrical spaces such as electrical cabinets, fuse boxes, audio-video equipment or racks can be found in every household, office or industrial building. Each of these small spaces poses a threat to the surrounding equipment and the building itself due to increased risk of fire. BlazeCut “T” Series systems effectively protect these electrical spaces and stop the fire from spreading outside of the protected enclosure whereby preventing severe damage and losses. 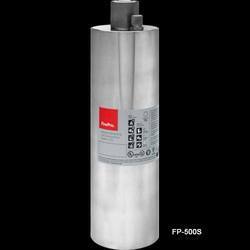 FirePro's systems can be referred to as condensed aerosol fire extinguishing generators or units. They have numerous benefits, including reliability, effectiveness and credibility. 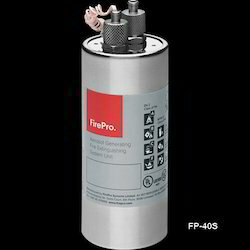 FirePro's solutions have a range of advantages compared with conventional gaseous systems, including lower initial and long-term ownership cost, pre-engineered solutions, weight and space-saving properties, easy installation, no integrity piping tests, fittings or pressure cylinders and easy and cost-effective maintenance, with no hydraulic tests, weighing, pressure / leak detection and filling. 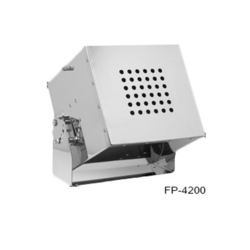 The company's condensed aerosol fire extinguishing systems have a modular design and can protect large volumetric enclosures, such as warehouses and offices.